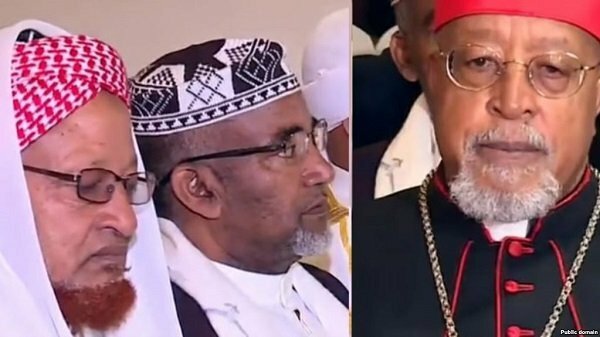 Ethiopian state media, EBC, reported today that elders and religious leaders have started mediation effort in Addis Ababa to resolve the difference between the two parties. And they held discussion with the leadership of OLF. “There was hope when OLF leaders returned to the country for there were convictions that it would bring about peace to Ethiopia. That is why the leaders were received with a great joy,” Secretary of religious leaders, Megabi Zerihun Degu, told FBC journalists. “In no time”, he continued, “The hope was turned into worry.” Now, there is conflict in different parts of Oromia; people are dying and being displaced, Megabi Zerihun said. ODP, whose chairman is Abiy Ahmed, is a moderate Oromo ethno-nationalist party in charge of the administration of Oromo region of Ethiopia. It is also a key player at the Federal level of government for it is now emerging as a leader within the the ruling coalition, Ethiopian People’s Revolutionary Democratic Front (EPRDF). OLF on the other hand is a radical Oromo nationalist organization with a militant sentiment. In the past, it had been outlawed and listed as a terrorist organization. As part of the political reform in the country, Prime Minister Abiy’s administration invited all armed groups operating outside of Ethiopia to end their armed struggle and return to the country for a peaceful struggle. To that effect and as a confidence building measure, his reformist government scraped armed opposition groups, including OLF, from terrorism list. In September 2018, OLF leaders returned to the country after an ODP delegation led by Lemma Megersa and Worqneh Gebeyehu held discussions in Asmara with the former. 1300 OLF combatants who entered to the country through Tigray, Northern Ethiopia, were disarmed. As it turns out, based on government narrative, the organization had another armed group operating in most parts of Wollega areas and also in the south Oromia. The initial stages of the difference between ODP and OLF essentially come down to the issue of disarming combatants. As a governing party, ODP has to live to up the public expectation in terms of maintaining law and order which includes disarming OLF for it has opted, theoretically, to struggle peacefully. On the other hand, OLF did not seem to have interest to comply with the legal requirements to operate in a peaceful political process. It rather sought to establish its own de facto administrations in some parts of Wollega region. The organization even flexed its muscle and more than 40 people, including government officials and law enforcement bodies, have been killed, based on Oromia region police chief Alemayehu Ejigu, in Wollega and other areas. OLF explains its recent militant behavior in terms of what it says is “agreement” with ODP. It says it is not implemented. Last week, Alemu Sime, senior ODP official, said that “there was no special agreement with OLF.” His party says that party was invited, just like all other armed opposition groups, to enter into the country for a peaceful political struggle and has to disarm in the interest of law and order in the country. Addisu Arega, another ODP senior politician, reiterated yesterday that there was no special agreement with OLF. Other Oromo opposition parties, like Oromo Democratic Front (ODF) and Oromo Federalist Congress (OFC), are now calling up on the government to make public the contents of any agreement between ODP and OLF, if there was one. OFC had a press conference in the capital today. It said that it is skeptical of the armed activity in different parts of Oromia region for it could be a plot to make the region a war zone which it says is not in the interests of the people of Oromo. It is in this situation that religious leaders are trying to approach OLF and see if they can influence its behavior to for constructive dialogue with the party that is governingthe region, ODP.